A new hair-loss treatment is giving hope to millions of people with thinning hair. 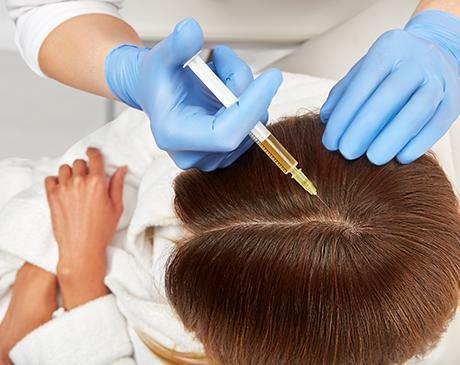 The treatment, called Platelet Rich Plasma therapy -- or PRP -- could help regrow and thicken hair without surgery, drugs or expensive treatments, experts say. PRP relies on the patient's own platelets. The patient's blood is drawn and placed in a machine, where the plasma is separated from the blood and injected directly into that patient's scalp. The platelets contain growth factors that stimulate the regrowth and thickening of hair follicles. Platelet-rich plasma (PRP), can stimulate a renewed blood supply and proper nutrients to deprived hair follicles, which can work to restore the hair growth process. The renewed growth helps to fill in areas of receding or thinning hair. PRP is a natural serum derived directly from your own cells to initiate regeneration. A numbing agent can be applied to the desired treatment area to maximize patient comfort. The scalp may be tender for up to 24 hours after treatment, but this should quickly subside. One treatment per month for up to three months is typically required for optimal results, and long-lasting results can be maintained with follow-up treatments every 6 to 12 months. First, your blood is drawn in our office at Elevation. The blood is then spun in a centrifuge. The centrifuge then separates the PRP from the rest of the blood. A topical anesthetic is applied to the scalp so you are as comfortable as possible. The patient’s hair is then washed and the micro needling takes place. 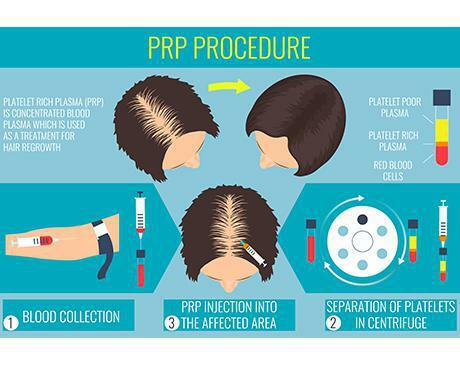 The highlyconcentratedplatelet rich plasma (PRP) is then injected into the scalp. 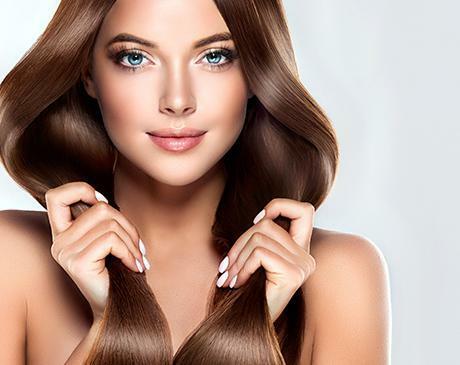 is then injected into the scalp.This is a very safe procedure with virtually no side effects since you are utilizing materials from your own body. Eclipse PRP® is a proprietary system that is based on blood separation according to density using a unique separation gel. The PRP platform is available with an 11 mL PRP collection tube or 22 mL high concentration collection tube. The system allows for the preparation of pure Platelet-Rich Plasma (PRP) with optimal platelet concentrations and cellular content. Virtually, all Red Blood Cells (RBC) are eliminated from PRP and the concentration of pro-inflammatory Granulocytes (GRs) is highly reduced. Platelet-Rich Plasma (PRP) is an autologous concentrated preparation of platelets and the associated growth factors in a small volume of plasma. Platelets are a natural source of a number of growth factors in their natural and biologically- determined ratios.